What it is designed for? 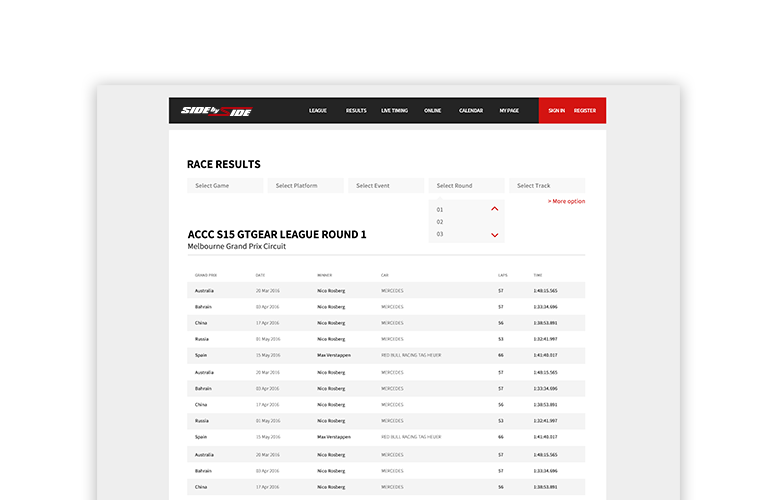 SideBySide is aimed at a Multi-Platform where users share their racing simulator records and enjoy together. Also Many Racing Simulator rooms are established and VR devices became popular. 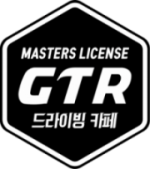 So we think it is possible to connect with real motor sports. Ultimately, the bridge between Simulation and reality is one of our goals. 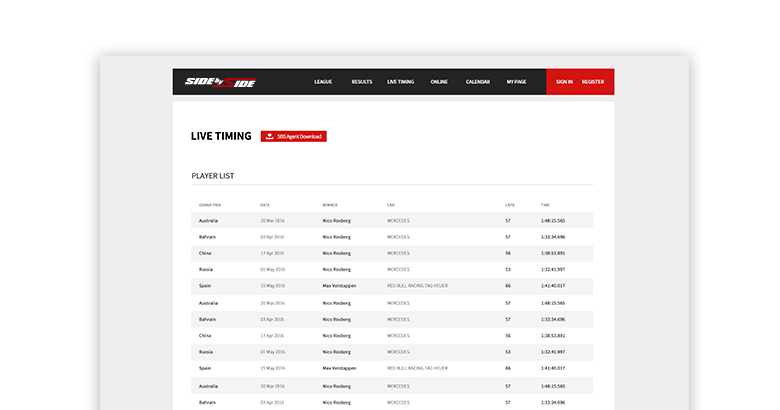 Search for many leagues at once! 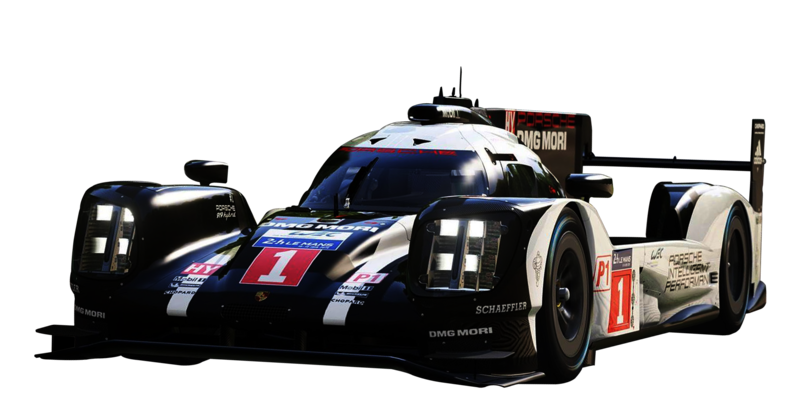 for Assetto Corsa, Project Cars, Raceroom and etc. 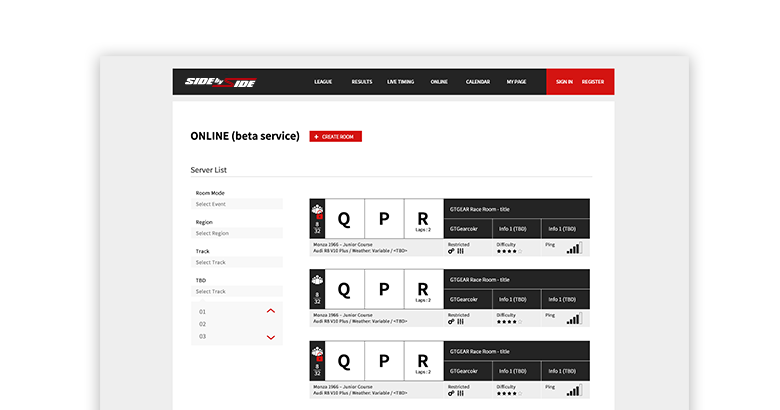 You can create and search Sim Racing dedicated server in our website. Now, we support Assetto Corsa. Other Simulations will be updated later.